I don’t know about you, but I am always looking for a quick, easy appetizer recipe. This Roasted Red Pepper Dip fills the bill and is colorful and healthy! Now when friends drop by unannounced, or you are invited to a get-together last minute and need to bring an appetizer, you will be armed with this tasty dip! I think we can all agree that there are never enough hours in a day. That’s why I love a recipe where you measure all ingredients at one time, put them in a bowl (or food processor in this case), mix together and then instantly have a delicious finished product! 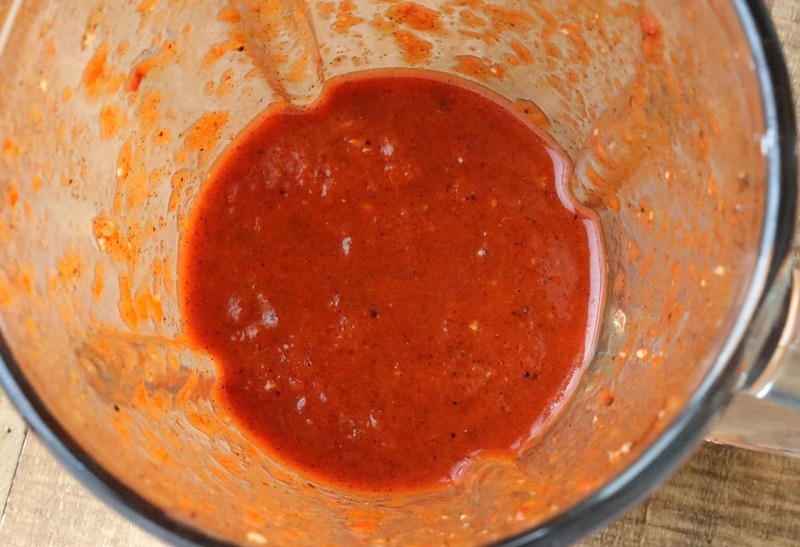 This Roasted Red Pepper Dip is that kind of recipe. Easy! Love it! Not Only Easy but Colorful! I was taught that a dish should not only be delicious but should also be pleasing to the eye. 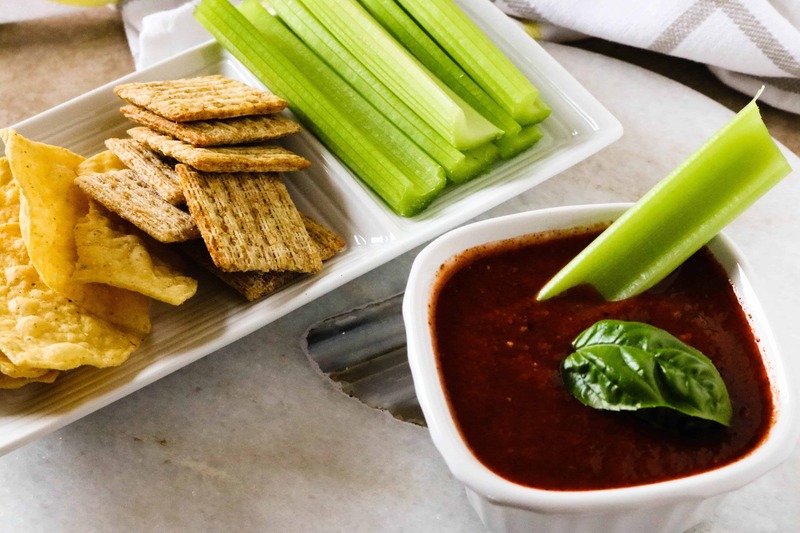 The roasted red peppers in this dip are such a gorgeous shade of red! 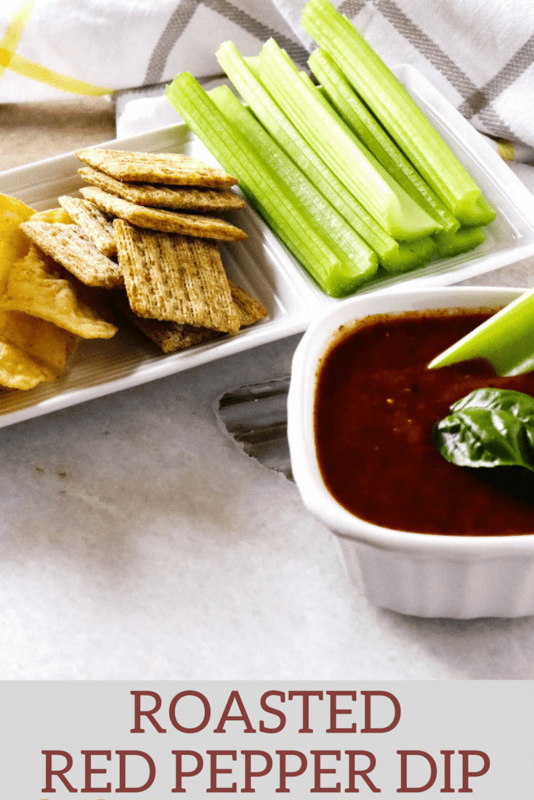 Put this dip in a white bowl and serve with some green celery and you’ll want to step back and admire the beauty…but not for too long, as you’ll want to dig in and enjoy its awesome flavor. Pretty much everyone I know is trying to eat a healthier diet. 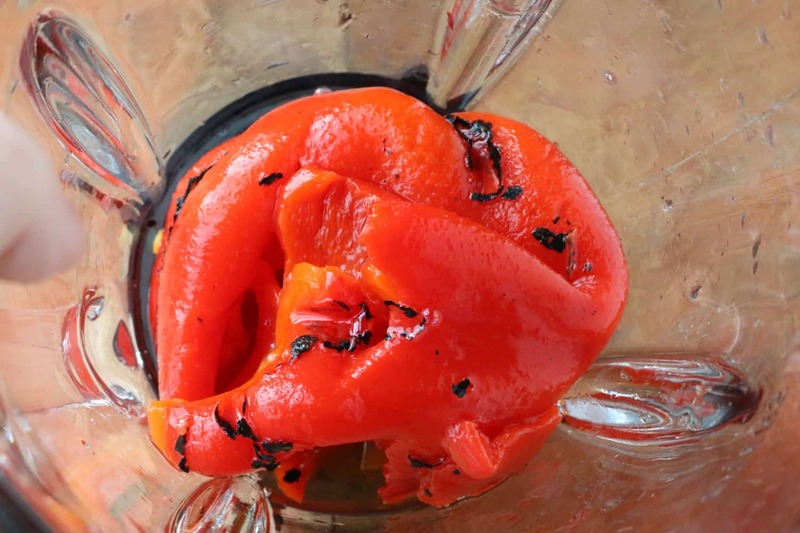 This Roasted Red Pepper Dip makes accomplishing that so easy!! There is very little fat in this recipe. Just a lot of flavor. Because it is so healthy, it’s great to keep in the fridge for your family to enjoy. No need to wait for company to make this yummy dish. Dips made in your own kitchen typically are much better for you than store-bought dips. And when the dip is this easy, there’s no excuse! Healthy is great, but this Roasted Red Pepper Dip also passes the delicious taste test with flying colors. The balsamic vinegar and roasted red peppers compliment each other beautifully. Then along comes the chili powder to give it just enough kick to make it interesting. 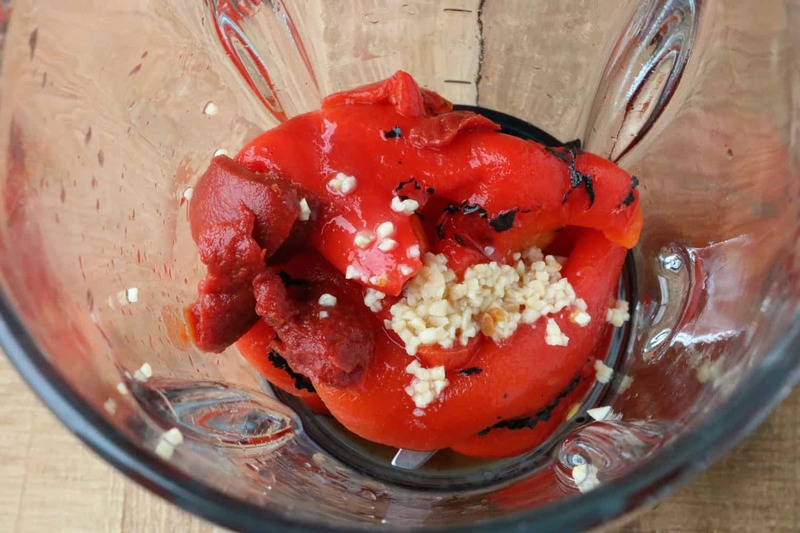 Step #1: Place roasted red peppers into a food processor. Step #2: Add tomato paste, minced garlic cloves, Balsamic vinegar and 2 teaspoons chili powder. Step #3: Cover food processor and puree. Step #4: Pour into a serving bowl. Serve with celery, crackers, tortilla chips or whatever strikes your fancy. If you’re having a party and need some more great appetizer ideas, check out these recipes! Mix all ingredients together in food processor. Pour into a bowl. If you'd like a thicker dip, stir in extra tomato paste a tablespoon at a time until the desired thickness is reached. 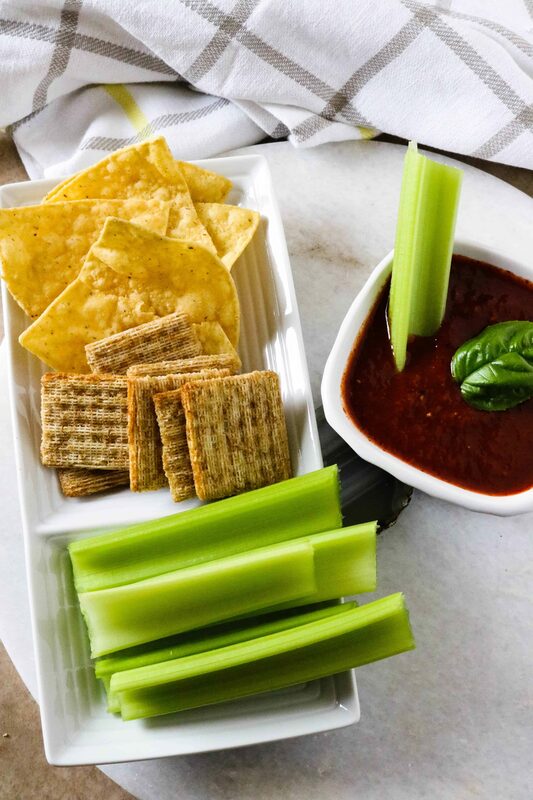 Serve with chips, crackers and/or celery.